For centuries, the educated, wealthy and refined could be distinguished by their ability to put quill to parchment, vellum or paper and create beautiful, flowing letters. 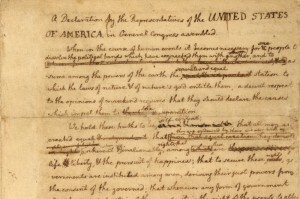 The delicately formed cursive letters of the America’s Declaration of Independence, as faded the current copy on exhibit at the National Archives may be, helped form a nation. Founding Father Thomas Jefferson, the third President of the United States and renaissance man, gets implied credit for writing those words 237 years ago. But the cursive handwriting on the document detailing the need to “dissolve the political bands” is not his. Matlack, according to Nicholson, was a professional scribe, the type of man who would use a practiced hand to pen important papers before printing presses were invented or readily available. “They were professional clerks known for writing beautifully, clearly in a way that anyone could read so they took the place of a formally printed document,” Nicholson said. Nicholson admires the penmanship of the scribes who wrote the many important national documents she has helped preserve, including the Declaration of Independence. That sense of elegance is seldom seen in daily handwriting. In fact, the handwriting tradition of cursive, taught in classrooms around the country for decades, has seen something of a slow demise in recent years. 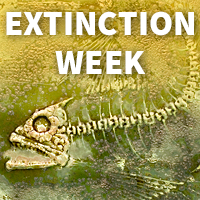 To be fair, it’s not quite nearing extinction level, but some might argue it is increasingly endangered. With young thumbs furiously pounding out abbreviated words and internet slang while texting and with fingers flying across keyboards writing emails, reports and, yes, even news articles, the act of taking a pen and carefully crafting notes and letters is occurring less frequently in the modern world. Forty-five states and the District of Columbia use the Common Core’s English Language Arts standards. But a few states (California, Idaho, Kansas, Massachusetts, North Carolina, South Carolina and Tennessee among them) have recently moved to make cursive mandatory. North Carolina passed a “Back to Basics” law last year which mandated cursive (and multiplication tables) be taught. Children in Cindy Hutchins’ second grade class at Estes Elementary School in suburban Asheville, North Carolina, have just begun learning their cursive letters. They first spent two years learning the D’Nealian manuscript alphabet, which is slanted and supposed to ease the transition. And even in the age of emails, typing and texting, some of the students at Estes Elementary still see potential practical applications for cursive handwriting. “Maybe we won’t have electricity anymore and it might be a blackout so we have to write letters to each other,” said Jacob Fender, 8, after practicing at his desk in Ms. Hutchins’ class. Not everyone sees losing cursive from the elementary school curriculum as a critical problem, including Steve Graham, a Professor of Education at Arizona State University who has studied handwriting extensively. There are still devotees who slowly and methodically create beautiful characters, such as those found in the document John Hancock is well-known for having signed. Christine Carneal spends a few hours each week learning calligraphy, highly decorative handwriting, in Washington D.C. in a class offered by Smithsonian Associates, the educational outreach arm of the national museum and research complex. Shane Perry is Carneal’s instructor who has spent many years learning, perfecting and later teaching how to write beautifully.